2. Over-reliance on subwoofers. In real life the only time you hear 20-30Hz is during a thunderstorm, earthquake or other natural phenomena. Sure you want to make the music sound bigger than life by adding in all that bottom end, but it shouldn't be at the expense of intelligibility. 3. Too much kick. A function of the above two items, many soundmen seem to have a myopic vision of the kick drum, spending way more time trying to get a sound at the expense of everything else on the stage. Believe me, most drummers at the concert level are using drums that sound great already. It doesn't take that much effort to make them sound good. I hate concert videos. Not all of them, just the majority. It's not the music or the artist, it's mostly the directing. It seems like a whole generation of directors learned the wrong way just like live soundmen did (more on this in the next post). Many times there's a concert I'd love to watch on VH1 or PBS that I can't get past the first minute or two because it's cut too fast and flat. That might work for music videos (I'm not sure it does) but it sure doesn't for a concert. I want to be engaged, I want to be pulled in and I want to really see the performance in a way I never could before. So here are my 5 reasons why concert videos are so bad. 1. The cuts are way too fast. Give me a moment or two to get a feeling for the artist. If you cut on every beat I never get pulled into the performance. There's no rule that says you can't keep a shot on the artist for 5, 10 or even 30 seconds. I promise, if the artist and the music is great, it's not going to be boring! 2. There's never enough of the supporting players. Let me see the rest of the band. And not just for a second either. I want to know who the players are. I want to see how much they're into the music. And just maybe there might be a great mini-performance within a performance that's worth seeing. 3. Too many audience shots. Who cares about the audience? Unless there's something really special about the audience, I don't have to see them in every song, and not more than once or twice at that. This constant cutting back to generic audience shots just makes me loose interest. Sure they like the band. That's why they're there. You don't have to keep reminding us. 4. Too many long shots from the audience. Once I get the feeling of how large the venue is and how many people are there, I don't need to see it again. Giving me that same shot over and over just disconnects me from the performance. 5. The shots make the performer look smaller than life. Please, learn how to frame a shot. I'd like to see the performance from a perspective I can't normally get, but I don't need to count the singer's nose hairs. Too many times the shooter frames the shot flat. A concert is bigger than life so let's shoot it that way. Too many times a director thinks that the project is his. It's not. It's the artists. Let's give the fans more of them and less of you. Let The Public Mix It? "Master stems from eleven tracks off of Canadian hip hop artist K‐OS’ Spring 2009 release "YES!" 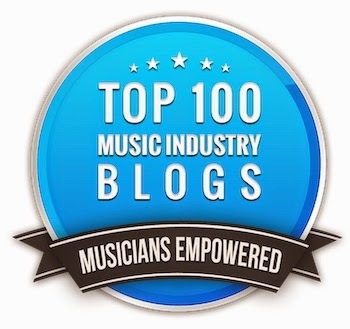 have been made available to Indaba Music’s community of 100,000 musicians. On February 3rd submissions will close and K‐OS will select his favorite mixes from each track’s submissions to win both $1,000 and a spot on Universal’s companion release." Although the idea of a contest is new, Trent Reznor and Todd Rundgren (way back in 1993) have provided individual tracks or stems (groups of tracks) of their songs for consumer remixing before. It's very easy for an artist to hold a mix as too precious and a work of art, but usually the consumer doesn't have the means to present a song in its best light if given the chance. It'll be interesting to hear the results on February 3rd. "What you'll see is less of a focus on sales of individual tracks or the conceptual equivalent of little round shiny disks and more about helping artists learn things about their fan group that they can't directly see.......... The value of a label going forward is to be the platform to connect artists and fans and teach each more about the other." The fan of the artist really wants to know everything about that artist and wants the artist to keep directly in touch with him or her. Trent Reznor has been at the forefront of artist/fan communication but until this latest EMI release, all the major labels and only a few indies even considered this to be a useful tool in promoting an artist's career. Bravo, EMI. Now let's see you put it into action.